If you suffer from joint and muscle pain, climbing stairs can feel like scaling Mt. Everest. Prolonged joint inflammations can result in loss of mobility, making it hard to sit, stand, or jump. Hemp Bombs CBD Salve for pain may ease swelling and inflammation in the joints, making that mountain more conquerable. The healing properties of CBD may provide relief for even the most stubborn muscle aches. Hemp Bombs CBD Salve for pain uses cryotherapy to release muscular tension and help you feel your best. CBD, or Cannabidiol, is a natural compound present in Hemp plants. Hemp Bombs CBD is extracted from premium Industrial Hemp plants. Through a CO2 extraction method, we isolate CBD from other chemical compounds present in the Hemp plant and manufacture 99 percent pure CBD isolate. Our CBD is tested by a third-party laboratory to ensure that your product is of the highest quality. Our products do not contain THC and will not cause a “high” or result in a failed drug test. Hemp Bombs CBD Salve, or CBD Pain Freeze, is a topical solution made of CBD isolate, Menthol, Camphor Oil, and Aloe Vera that produces a cooling sensation for those with muscle and joint pain. This product acts as a natural solution for short-term or chronic pain, providing immediate and long-lasting effects. CBD Salve for pain can be used on small, targeted areas or larger muscle groups up to four times a day. Massage a small amount of the solution into the affected area (use a little more for larger areas). For best results, clean or exfoliate the affected area before applying the solution. This allows the Salve to permeate deep into your muscular tissue and better achieve your desired results. CBD Salve for pain may ease muscular tension and promote relaxation. By working with your Endocannabinoid System, or ECS, CBD can regulate pain and inflammation. The ECS is a network of receptors and compounds that help regulate bodily functions. It interacts with both natural cannabinoids produced by the body and plant-derived cannabinoids like CBD. The increased concentration of CBD in your system provided by Hemp Bombs products helps restore balance and enhance the functionality of the ECS. In some cases, pain can cause secondary insomnia (insomnia resulting from another condition), anxiety, and depression. By easing the pain, CBD Salve can reduce the impact of these other conditions. If used before bed, CBD Salve for pain may reduce discomfort making sleeping easier. When applied topically, the healing properties of CBD may be useful in soothing arthritic pain, muscle pain, fibromyalgia spasms, and sunburn. Arthritic Pain - The symptoms of arthritis can be painful and uncomfortable, especially when left untreated. Hemp Bombs CBD Pain Freeze can potentially ease the pain of rheumatoid arthritis and osteoarthritis. The anti-inflammatory properties of CBD help to reduce the swelling common of these conditions. CBD binds to overactive immune cells to form caspase. Caspase causes overactive immune cell death potentially decreasing inflammation. This product may also increase joint mobility by easing stiff joints. 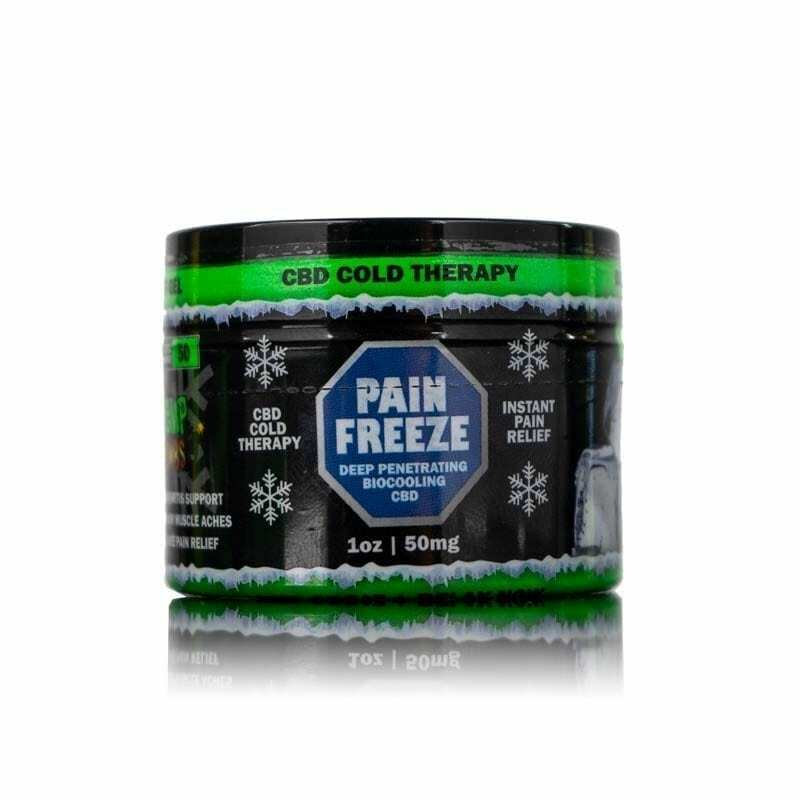 Muscle Pain - Hemp Bombs CBD Pain Freeze may be an effective solution for muscle soreness and pain. CBD influences anandamide, a “bliss” molecule, to bind to nerve receptors and reduce pain sensations. The cooling sensation of this product encourages the muscles to relax, releasing tension and reducing pain. Those experiencing short-term and chronic pain, post-surgical pain, post-workout soreness, and general muscle aches may find relief by using this product. Fibromyalgia - Fibromyalgia is a musculoskeletal condition resulting in chronic pain characterized by muscle spasms and changes in mood, sleep, and memory. The antispasmodic properties of CBD may reduce the number of spasms in “hotspots” in the neck and back. When taken before bed, the cooling sensation of this product may help alleviate joints and relax overactive muscles, resulting in better sleep. Sun Burns - The Aloe Vera in Hemp Bombs CBD Salve for pain may soothe sunburn discomfort and promote quicker healing. CBD may reduce the inflammation and redness, placating the pain as a result. The Aloe Vera in this product may soothe some discomfort and promote quicker healing. Hemp Bombs CBD Salve may provide a natural solution to muscle and joint pain without the laundry list of side effects associated with traditional pain medications. By addressing your pain, CBD may allow you to relax and live life to the fullest. Using CBD Salve for pain in conjunction with other Hemp Bombs products like CBD Gummies, CBD Oil, and CBD E-Liquid may help all your muscles to release tension after a long day. 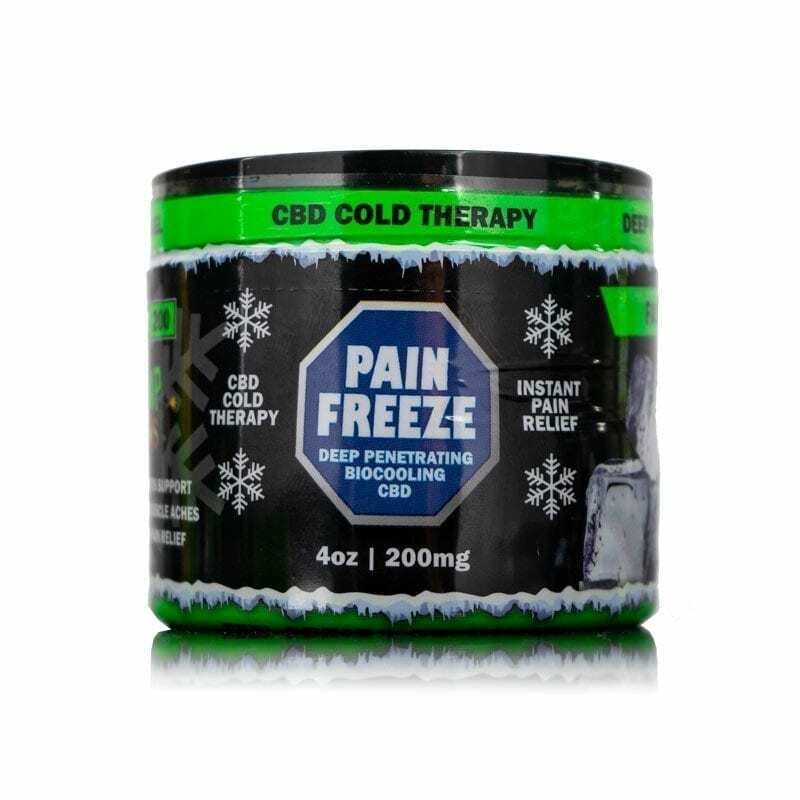 Read more about applying Hemp Bombs CBD Pain Freeze.